Shares in Stellar Diamonds (LON:STEL) soared as brokers hailed the maiden resource estimate for its Tongo project in Sierra Leone as a significant milestone.The Africa- focused diamond group revealed a JORC compliant 660,000 carat inferred resource for Dyke-1 with a resource grade of 120 carats per hundred tonnes. Daniel Stewart said the most important figures for investors to focus on are the very high grade and diamond price per carat, reflected in the quantity and quality of the resource of 120cpht and US$225 per carat.House broker Northland meanwhile said it was reviewing its current price target of 15.1p and said parallels can be drawn between Stellar’s Tongo kimberlite dyke project and Petra Diamond’s long established Fissure Mines. Fissures are currently the only actively mined kimberlite dykes being mined in the world. The ROM grade at Tongo is likely to be c. 54cpht and the average diamond value is estimated to be between $225/ct to $270/ct. At Fissures, the grade is 39cpht and the average diamond value is $255/ct.Combined, this results in a higher value per ROM tonne from Tongo between $122/t and $146/t, compared to $99/t from the Fissures. The Fissures have a combined strike length of 12.9km, at Tongo 1.9km of the 2.5km long Dyke-1 has been tested and there is further potential from other Dykes in the area (c. 2km). The current depth of mining at Fissures is 750m at Tongo the resource extends to a depth of 200m - further drilling could extend the resource to a greater depth. The Fissures have been in production for more than 50 years and have a remaining 15 years of mine life, demonstrating the longevity that kimberlite dyke operations can have. 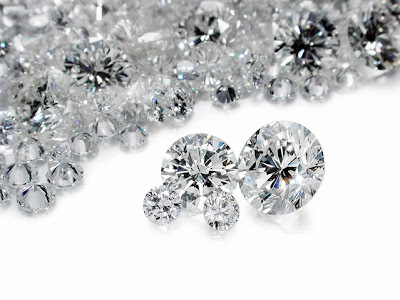 Karl Smithson, Stellar’s chief executive, said: "The high diamond grades and values exhibited by Dyke-1 make it one of the highest value kimberlites in terms of dollars per tonne worldwide." Smithson added that the maiden inferred resource had confirmed the potential of the Tongo Kimberlite Dyke project and was a “significant milestone” for Stellar Diamonds.He added that the project also had potential for major expansion and development. “In addition there is 25% of the mapped strike of Dyke-1 yet to be drilled into the resource category and there is considerable potential to expand the resource with depth. Similar operational kimberlite dyke hosted diamond deposits in South Africa are mined to a depth of 700m below surface.